Yoga’s physical benefits include increased flexibility, balance and muscle tone, to name a few. The practice also enhances mental health by offering a rare escape from multitasking and a great way for people of all ages to practice letting go of stress. Yoga is definitely for everyone, but there are various styles of Yoga to pick from. Choose the one that’s best for you. Vinyasa Yoga is characterized by fluid movements and frequent switching between different poses, which raises the heart rate. It makes for a great hour of cardio. Good for those who don’t like doing the same poses every week, since vinyasa teachers generally change the routine for each class. Hatha is a general term for yoga that focuses on physical poses as a way toward self-realization. A hatha class is likely to be traditional, gentle (depending on the teacher), and often incorporates focused-breathing exercises and meditation. 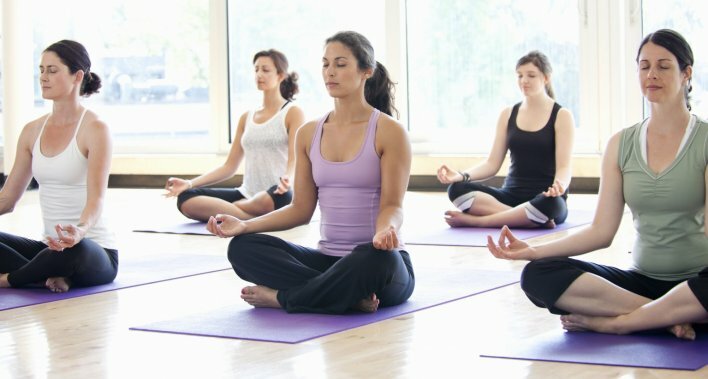 Great for those who want to experience yoga’s mental benefits. Great outline but you missed my favorite- Kundalini Yoga. It's meditative and thoughtful, levels up based on how hard you push yourself so classes aren't by level, and has proven to be good strength and balance training for me. The classes are different every time.